Anyone with a Hogwarts-shaped hole in their lives can't miss the second book in this fantasy series. Escape to Lundinor, the underground city that holds the world's greatest treasures . . . and its biggest threats. 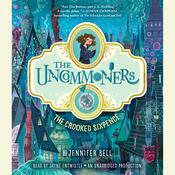 "Part Tim Burton, part J.K. Rowling! A terrific series." --Soman Chainani, New York Times bestselling author of the School for Good and Evil series Ivy and her older brother, Seb, are back in Lundinor--the underground city where enchanted objects can do incredible things, if they're uncommon. But not everyone is thrilled at their arrival. Namely, Selena Grimes, the wicked ghoul who will stop at nothing to return her guild, the Dirge, to their former glory. 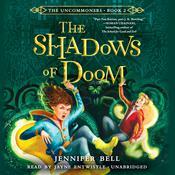 When Ivy and Seb learn that Selena is after the Jar of Shadows, one of the five most powerful uncommon objects, they know it's up to them to find it first. But there's more than just Selena to worry about this trading season. Jack-in-the-Green, an escaped shape-shifting convict, haunts the city; Grivens, a troubling game where players often end up horribly injured--or worse--is on the rise; and foes disguised as friends lurk in the shadows. Ivy will have to figure out who they can trust--before they meet their uncommon ends. Anyone with a Hogwarts-shaped hole in their lives can't miss the second book in this fantasy series. Escape to Lundinor, the underground city that holds the world's greatest treasures . . . and its biggest threats. Jennifer Bell began working in children’s books as a specialist bookseller at Foyles, Charing Cross Road, London, one of the world’s most famous bookstores. After having the privilege of listening to children talk about their favorite books for many years, she started writing a book of her own on her lunch breaks.